Band Monitors Unborn Baby While You Sleep #WearableWednesday « Adafruit Industries – Makers, hackers, artists, designers and engineers! 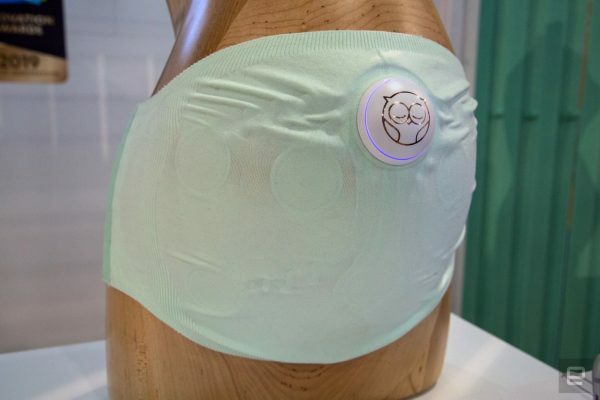 The Owlet Band is a soft, thin circle of fabric that wraps around an expectant mother’s abdomen and lower back, and it has a small plastic sensor front-and-center. Using passive ECG technology, the Band is able to read and record the baby’s heart rate, count its kicks, identify contractions and track the mother’s sleeping position. Essentially, it’s a sleepy-time peace-of-mind machine for anxious parents-to-be.